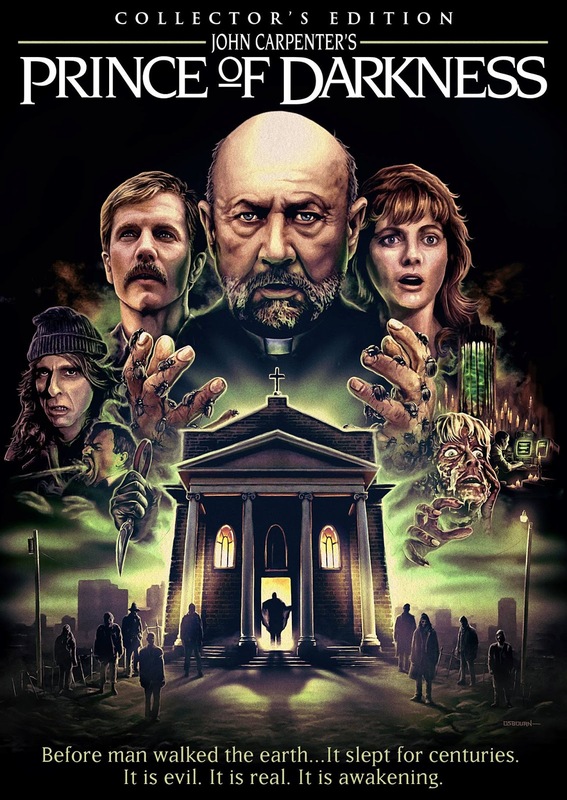 Just yesterday, Scream Factory unveiled what may be their most impressive Blu-ray / DVD cover yet, for John Carpenter’s 1987 masterpiece Prince of Darkness and announced the release date. John Carpenter’s Prince of Darkness Collector’s Edition arrives on Blu-ray and DVD from Scream Factory on September 24. As with previous releases, early pre-orders will get a limited edition 18″ x 24″ poster of the key art above, illustrated by Justin Osbourne. The original theatrical poster will be included on the flip side of the new cover for any purists out there. We will have the complete list of bonus features to be included as soon as they are announced.